Try a new wine! We carry rarities from the world over. Poet, Phillip Martz, and painter, W. Carl Ealy, are Carolina-born artists who have joined forces to create an ongoing line of greeting cards unrivaled in elegance and originality. Home cooked in Virginia just a couple of hours from Sweet T's, Hubs has been a peanut-people pleaser for more than 60 years. Shop local! 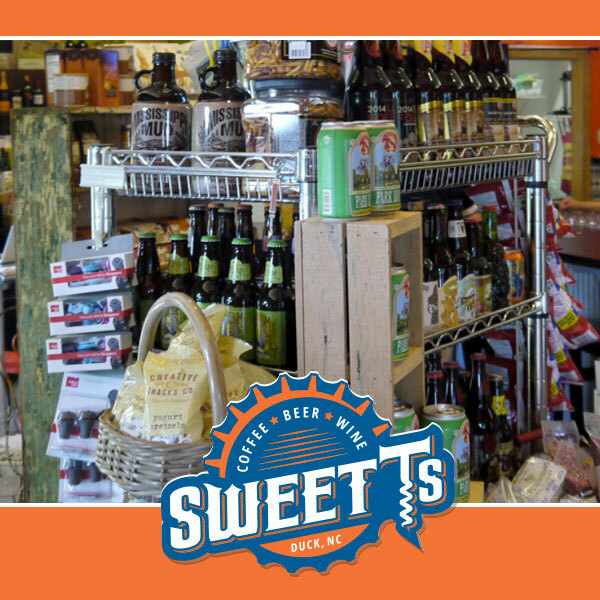 Sample our revolving selection of North Carolina-made craft beer and wine.